A ‪notebook‬, a style statement in itself. 24k Goldplated and ‪personalised‬ with your name. The pattern is from our Taj Mahal range. Limited edition‪. 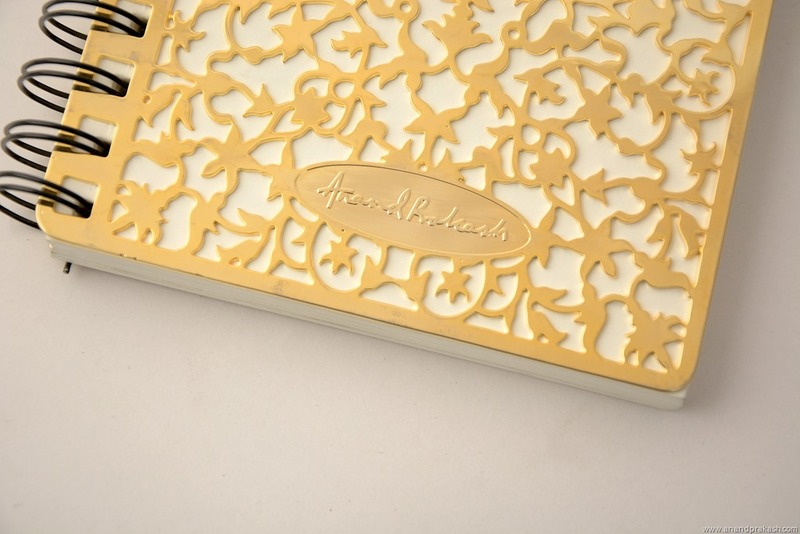 This entry was posted in Whats New and tagged Anand Prakash, customised book, designer journal, goldplated notebook, personalised. Bookmark the permalink. Can the papers be refilled in this book? And what is the cost? Papers can be refilled by us as the binding will have to be changed.